The Ware for September 2018 is shown below. Been a busy month banging my head against the wall of getting FCC/CE certification for NeTV2, and spending thousands of dollars on dozens of tests — more time, effort, and treasure than developing the product itself. This is my least favorite aspect of product development — the regulatory burdens are just so immense if you actually try to comply with all the rules, especially with such a global marketplace (every region you legally serve multiplies your paperwork load, not to mention different SKUs for power supplies & manual/packaging translations). Rather ironic to have finally figured out all the technical tricks to make production in small batches efficient, only to find there’s no efficient way to deal with regulatory hurdles. It’s a discouraging message for small-time makers and innovators, and tilts things in the favor of large corporations with the funding and scale to build internal certification teams and facilities to make the regulatory process efficient and predictable. This entry was posted on Saturday, September 29th, 2018 at 6:14 pm and is filed under name that ware. You can follow any responses to this entry through the RSS 2.0 feed. You can leave a response, or trackback from your own site. Looks like multiple small antennas, like a phased array. I’m guessing a very small, low-cost, radar-based proximity sensor? Bingo. A bit of time sifting through Google Images search results and I believe I found the exact module in question! Credit to L Labs and phantom for identifying it as a radar module. I learned some interesting things about radar modules tonight. By the way, could you elaborate more on certification challenges — is it the actual compliance (say, EMC) or just the paperwork? If it’s the former, would development of cheaper and open-source tools for pre-compliance testing be of any help? If you’re doing anything more complicated than a simple MCU, you will need some pretty fancy kit to debug basic compliance issues. Throw in a radio, and you are definitely going to need a spectrum analyzer to debug your compliance scripts. Compliance testing requires transmitters to be configured in “illegal” modes for the radio standard, such as continuous wave transmission, which requires special firmware modules that are very hard to find or available only under NDA. This is really difficult for anything involving wifi/bluetooth; it’s extremely hard to get any sort of transparency on firmware and I’ve definitely been in situations in the past where we’ve designed in a radio chip and almost had to scrub the product because we couldn’t get sufficient vendor support to configure the radio for compliance testing. Once you’ve gotten past the technical hurdle of passing compliance, then you have to shell out several $k’s to get the tests repeated in a traceable facility and the results written up and made available to the appropriate authorities. Even though the basic FCC/CE measurements can be re-used for some territories, re-issuing the paperwork will still cost you money. And then even after you’ve passed compliance other regions have other regulations such as waste disposal & hazardous materials compliance, as well as localization requirements. Many countries won’t legally allow the import of a power adapter that doesn’t have their local plug, and some countries have cultural protection laws that require you to translate all your packaging and manuals. Which if you’re trying to serve a niche market is a ton of effort for not much reward, and so often small markets with too many regulations are ignored by small shops like mine. A comment on the localization of plugs, this isn’t necessarily a fashion statement but often a safety issue. After many, many problems due to faults in dubious imported electrical gear from equally dubious sources, the government here required that electrical equipment have local plugs on them rather than a (typically) US plug and adapter, the reasoning being that it provided at least some level of quality control over the equipment. In other words something specially manufactured to support local plugs would also have to be better quality in general rather than just the cheapest junk sourced from the cheapest overseas vendor. You can still privately import whatever random stuff you like, but commercial import and sale requires local plugs. So, it’s a bit like a “brown M&Ms” rider? That is, Van Halen had a complex rider to deal with all of the complex equipment they used during shows. If the gig’s staff were unable to cope with the “brown M&Ms” portion of the rider, it was likely that they would be unable to cope with the more complex requirements. This was not an abstract fear on the part of the band, as a failure to meet their requirements led to an equipment malfunction that nearly killed a band member. Yeah, pretty much. They realised they could never regulate and enforce full compliance, but they could at least raise the bar a bit, and “does it have the right plug” is a check that any consumer can apply without needing technical knowledge or test gear. Good luck bunnie with all the testing and legalities! I had developed a design that did a variety of wireless connectivity (Bluetooth, WiFi, GSM and GPS) and FCC certification not to mention PTCRB certification pretty much sank that design. After buying a network analyzer (cheap enough on the used market…but still a hefty price) to tune my antennas, the test houses to ‘certify’ my stuff were through the roof. Please keep us updated on your progress… Hope things work out well for you! 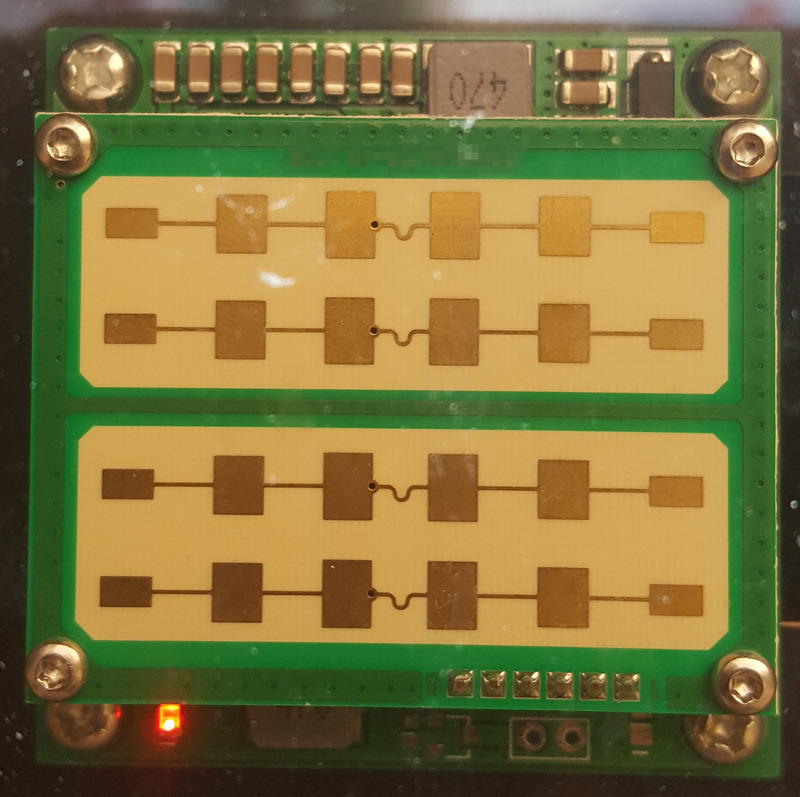 was there a possibility to use radio as a certified module for this device you are building? Using a certified module would make your life much simpler regarding when doing small batch production, makes things simpler and cheaper regarding paperwork and $$$. Also if you have a webshop then it doesn’t matter if you have correct power plug or documents translated for some small market, because is you ship to you customers products they don’t have to have translation. You only need translation if you are opening local store in that market and want to import lots of devices at once. At least this is my understanding and please anyone correct me if I’m wrong. I had an idea for an emergency network for a different type of disaster relief scenarios. A minimal GSM base station that provides only text messaging. 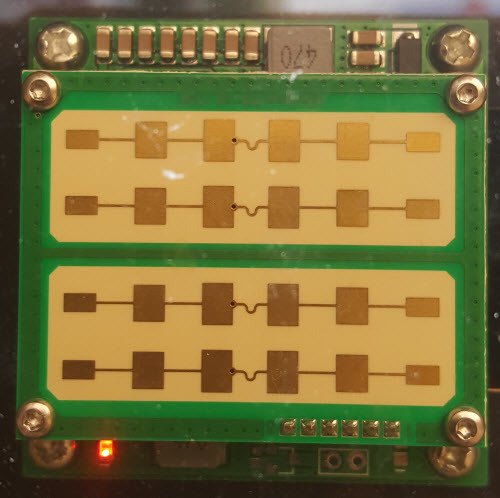 The modest bandwidth and power requirements should make it possible for a tiny battery or solar powered device placed high enough to provide connectivity for a vast area. A single satellite phone running a bridge software could act as uplink for the entire network. Text messaging may not be much, but it is infinitely more than no connectivity at all. Such a device would obviously have some serious regulatory barriers. It should be legal, though, to test such a device at low power in the US since the GSM900 band is in the US 900Mhz ISM band. I know exactly what you are talking about, and I saw this product because guys from Vodafone disaster relief team showed it to me at a conference in London. It is not bigger that a suitcase and it even works without any uplink if you have “local sim cards” you can call between phones even if you don’t have outside connection. I am using a certified module as a radio — but the compliance testing is still a pain. I’m incorporating a Raspberry Pi 3B+ (unmodified), which is theoretically a radio module, but it’s been extremely difficult getting the permissions necessary to reproduce the radio module certification documentation. This is because the certifying lab that did the Raspberry Pi 3B+ (UL) put a statement on their cover page that the report cannot be reproduced in any form without permission. This runs contrary to including a copy of the report in our submission to the certifying bodies and also keeping a copy in my compliance file for CE. So I’ve spent several weeks going back and forth trying to get an authorization letter to include the radio module certification documents in my report…finally I think I may have found a resolution to the issue. However, I was really surprised at how difficult it was to get the simple authorization letter to use the Raspberry Pi 3B+ as a module. It seems like actually most people just disregard that notice and copy the report anyways, but my compliance shop was being very…compliant. Do you think it would be possible to band together a bunch of small-scale innovators like yourself and make a sort of union or B2B of contracting out the compliance aspects of selling your hardware in different countries? I spoke once to Bosch, which is making engine control units for cars. The engineer there told me that Bosch is actively involved in complicating local legal regulations and making them incompatible from country to country, as this is to the advantage of the established players.